Here’s the new Brabus Widestar package for the new Mercedes GL-Class Facelift, which comes with new visual tweaks and massive power under the bonnet! The WIDESTAR GL kit, manufactured in OEM quality from Pur-R-Rim plastics, is 5cm wider than the standard car thanks to the elegantly flared wheelarches. It also features larger air dams and LED daytime running lights and auxiliary high beams and fog lamps. At the back, the new rear apron features an integrated diffuser, courtesy lights that illuminate the ground behind the vehicle and cutouts for the tailpipes of the BRABUS stainless-steel quad sport exhaust system, plus a roof spoiler. But the most amazing part of the car is indeed the powertrain. 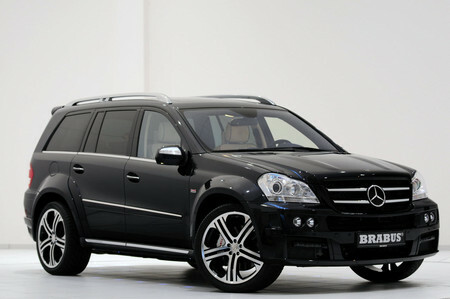 While Brabus offers performance upgrade for all of the engines in the range, the one we’re interested in is the BRABUS 6.1 displacement package for the gasoline-powered V8 engines of the GL 450 and GL 500 models, which 462 hp and 615 Nm of torque, making it one of the fastest full size SUVs on the market with 0to 60 time of 6.0 seconds and top speed of 158mph. 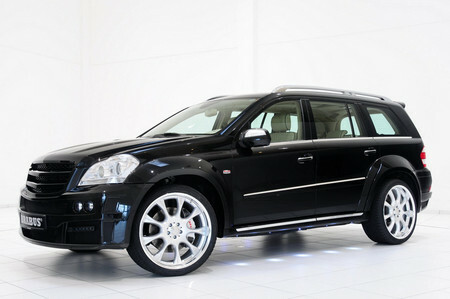 As always, Brabus offers different sets of their high-end wheels with their tuning packages. For the GL Widestar you can have Monoblock E PLATINUM EDITION wheels in size 11Jx23, 21-inch Monoblock VI, or 22-inch wheels from the Monoblock VI, E, G, Q and S design families. These rims can be had with Pirelli or YOKOHAMA high-performance street tires up to size 305/30.